Beto O'Rourke will break his relative silence in an Oprah Winfrey interview. It's been all of five weeks in the political wilderness for Beto O'Rourke, enough time for a road trip, a tooth cleaning, some long runs and all manner of speculation about his political ambitions. The former Texas congressman emerges from his relative political silence on Tuesday with an Oprah Winfrey interview that is one of the most anticipated media appearances of the early 2020 campaign. As President Donald Trump delivers his State of the Union Tuesday night, the Democratic Party sits in a state of nervous anticipation. There's the distraction of Virginia Gov. Ralph Northam, a situation made worse for his party by his resistance to calls for his resignation. Then there are the missing pieces of the 2020 puzzle, where only former Vice President Joe Biden rivals O'Rourke in terms of a non-candidate impacting the thinking of the rest of the Democratic field. For all that O'Rourke has said about himself, and all that is presumed to be known about him, he is still in soft focus as a potential candidate. Unknown still are what policy stances he would take and where he stands on ideological and attitudinal divides. The anticipation is now part of the Beto appeal. At bottom, the question for him to answer is whether he wants it -- knowing that running against a diverse field of popular Democrats is quite a bit different than a head-to-head campaign in Texas against Sen. Ted Cruz. The president who famously said that he “alone” could fix issues facing the country, will give his second State of the Union address Tuesday, addressing members of Congress who -- it turns out -- are necessary for getting anything done at all. The speech is coming two weeks later than originally scheduled after a partial government shutdown and partisan stalemate that brought all previous plans to a halt. 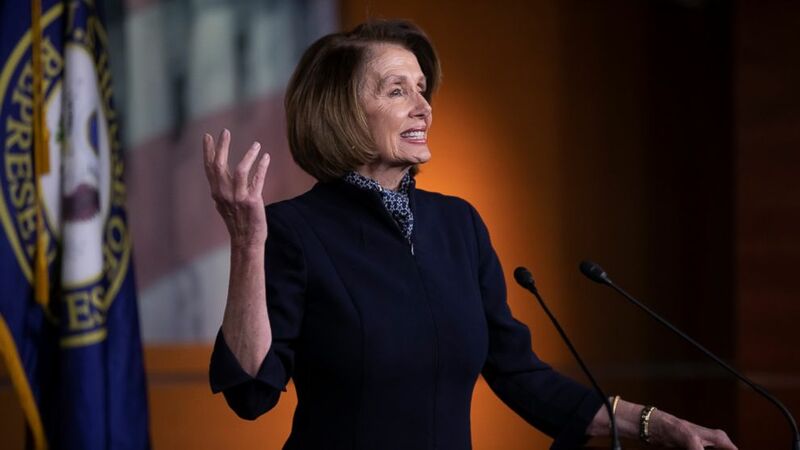 (AP) House Democratic leader Nancy Pelosi of California holds a news conference at the Capitol in Washington, Thursday, Dec. 13, 2018. Democratic Speaker Nancy Pelosi, who has fought funding for the president's wall at every turn, will welcome the president to her chamber and sit over his shoulder all night. It's a striking tableau of divided government. Expect other noticeable visuals too. This is the first State of the Union where newly-seated and highly-controversial Supreme Court Justice Brett Kavanaugh will likely appear in his robes with the rest of members of the high court. And it is not just Pelosi that the president will have to work with to avoid future impasses. He still needs members of his own party, who have been reluctant and skeptical of his pronouncements -- as of late -- on everything from declaring a national emergency to ignoring the guidance of his intelligence officials. Imagine the visuals if Republicans choose not applaud something he says on foreign or domestic policy. For all of the attention paid in political circles to the Democrats who are dancing around a 2020 presidential run, it could be jarring to be snapped out of the Washington bubble and be exposed to the reality that many Americans are still unfamiliar with a number of top candidates. In a Monmouth University poll released Monday, the vast majority of the party's candidates and potential candidates were still unknown to more than a quarter of those surveyed. Even some of the politicians who are the beneficiaries of recent buzz, like Sen. Sherrod Brown, D-Ohio, who won reelection in November and just embarked on a listening tour; Sen. Amy Klobuchar, D-Minn., another reelection winner who made a name for herself at Kavanaugh's Supreme Court confirmation hearings; and Julian Castro, who rolled out his presidential campaign last month with a Texas rally attended by thousands, were still unknown by 41, 39 and 35 percent of the poll's Democratic-leaning respondents, respectively. 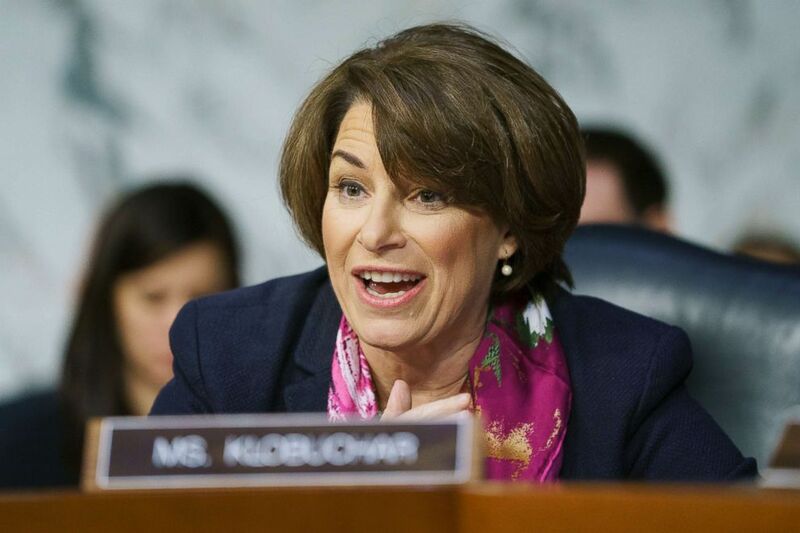 (Carolyn Kaster/AP) Senate Judiciary Committee member Sen. Amy Klobuchar questions Attorney General nominee William Barr during a Senate Judiciary Committee hearing on Capitol Hill in Washington,D.C., Jan. 15, 2019. It's become cliche to say that it's still early in the campaign cycle, but such a head-start is now the reality of presidential politics. And with preemptive favorites like Biden and Sen. Bernie Sanders, I-Vt., each known by over 95 percent of respondents and receiving favorability ratings of 80 and 68 percent, respectively, the rest of the potential Democratic field has a lot of catching up to do if the primaries are going to be as competitive as expected. The president will deliver the State of the Union address in the House chamber at 9 p.m.
Stacey Abrams, the former Georgia House of Representatives minority leader, will deliver the Democratic response to the president's State of the Union address at 10:30 p.m. The Senate will be in session starting at 10 a.m. The House of Representatives will be in session at noon. Former U.S. Rep. Beto O'Rourke will be interviewed by Oprah Winfrey as part of her “Supersoul Conversations” in New York City at 2 p.m.
Howard Schultz, former Starbucks CEO and author of "From The Ground Up: A Journey To Reimagine The Promise Of America," holds a book tour event in Boston at 6 p.m.